Custom 78' NorthCoast Yacht Model with Rendova RIB tender. 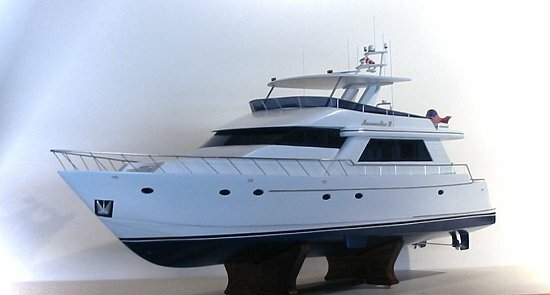 78' NorthCoast yacht model, notice the single portside anchor and non-symmetric porthole configuration starboard and portside. 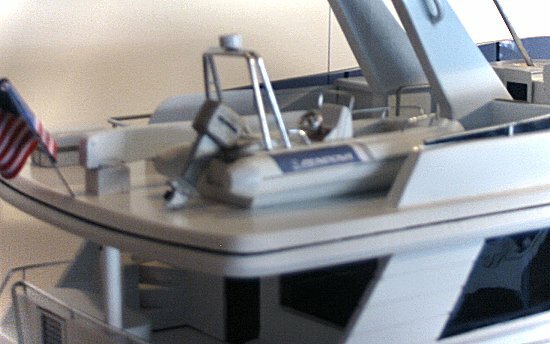 Shown below is the Rendova RIB tender including outboard, and other deck detail.